This January the Rosehip Medic Collective will offer another 20-hour Street Medic Training and street medic refresher–in anticipation of the Jan 20th Inauguration growing broadspread resistance to the Trump adminstration and forces it represents. Email us asap to reserve your spot now. This will fill fast! Street medics are volunteers with varying degrees and modalities of training who provide basic first aid, comfort care, assessment, and other kinds of assistance to groups and in situations often neglected by traditional institutions–including protests, encampments, disaster areas, marginalized/under-served communities. Unlike conventional emergency medical services (9-1-1), street medics receive special training around police violence, working with liberatory movements and community organizations, and emphasis on consent and patient autonomy. A 20-hour street medic training is the informal standard across North America for people filling this role. For more about street medics, see the Street Medic Wiki. These trainings are intended for people of all skill levels, as much EMTs, nurses, herbalists, or doctors as people with no first aid training. The training is holistic, focusing on preparation, actions and aftercare. Participants leave with useful tools whether they plan on being a medic at every major protest or if they simply want basic first aid knowledge for their neighborhood. The schedule is intensive, with one evening session and two long days that include hands-on practices and realistic scenarios. Please email rosehipmedics@gmail.com to register, receive logistical information, or have your questions answered. Location will be accessible by transit, bike, and car/carpool, with elevator access, gender-neutral restrooms, and wheelchair-accessible training space. Childcare and housing can often be arranged, given notice. We strive to make our trainings accessible, safe and supportive for all people and will work with you beforehand to try to meet your needs and goals. Please email us with questions. Please note that we ask a $25-50 sliding scale donation, starting with a $10 deposit to hold your place. These funds cover training supplies and support our work in the community. If this ask would represent a barrier to participation, please email us to request alternate arrangements. Trained street medics are invited to review/refresh any part of the training at no charge or by donation. Registration is limited & we can only hold spots for folks committed to the whole training. If you don’t have time for the whole training, get in touch–we will be offering shorter Health and Safety workshops and need volunteer patients/other roles to make these trainings a success. We are looking for people to help us provide food and childcare for this training, free of cost. We will also require help in the form of volunteer patients and can offer training, eternal appreciation, and sometimes zines or cute merch in return. Email us at rosehipmedics@gmail.com if interested. Since April, Sacred Stone Camp on Standing Rock Sioux land has grown to encompass thousands of water protectors from well over 200 tribes, as well as non-native supporters. 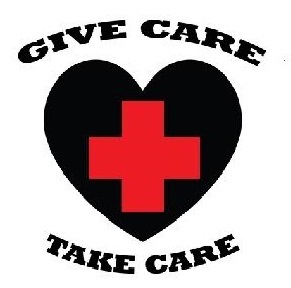 The Medic and Healer council was established to offer direct care to these protectors, who are putting their lives and wellbeing at risk from police and vigilante violence, as well as the harsh North Dakota winter and all the daily health needs of these camps’ people. Both healers and protectors need our help. Visit these links to find out how to donate, volunteer, act locally, and help in other ways. Be careful if looking to donate through other sites; some are rumored to be scams and not truly connected with the Standing Rock Sioux or the camp.